With the Sightmark® M8 Laser Rangefinder, users now have the convenience of a long-lasting, durable unit for clear images and spot-on target range estimation. Featuring a wide 3 to 800 meter rangefinding distance, a 24mm objective lens and precision accuracy of 1 meter within actual distance, hunters or tactical operators can locate any size targets from short to long distances with confidence and control. 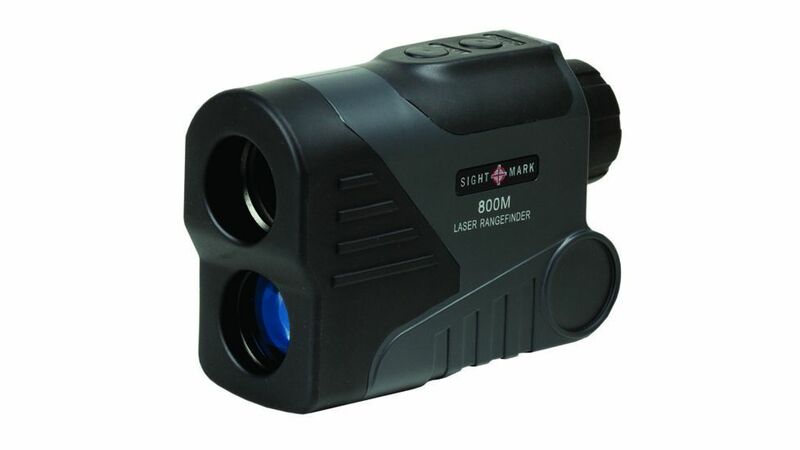 Its 6x magnification and crisp LCD display allows users to view their objective closely and clearly without the image washing out from the sunlight. The M8 Laser Rangefinder yields exceptionally long battery life, operating efficiently for a minimum of 7,000 actuations. Users can customize the rangefinder to calculate distances in yards or meters, which takes place in less than 1 second of initializing. Built to withstand harsh environments, the device features a weather resistance rating of IP65. Its advanced operation temperature range of -4 - 122 Fahrenheit enables use in a wide variety of climates and conditions. Additionally, the M8 Laser Rangefinder is lightweight (8 oz.) with a rugged body construction and an ergonomic fit for ease of use and convenient travel.